Afternoon tea and a knitting needle case. It’s definitely turned this weekend. A definite feeling of autumn. Winter jackets dug out of the cupboard. Pyjamas pulled down from the attic. 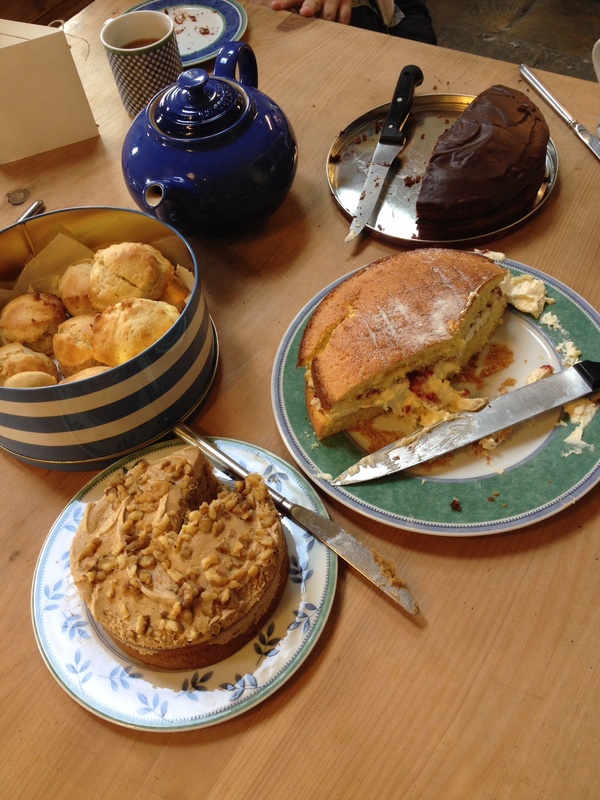 But an afternoon ‘bring your own cake’ tea with girlfriends and children who had known each other from babies put paid to the gloom. 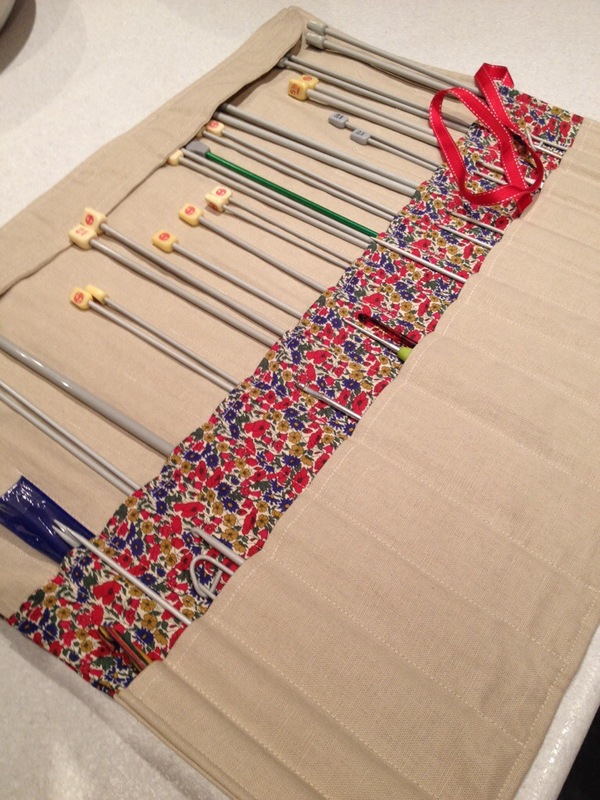 And I made a knitting needle case! There is no longer a need to scrabble in a dark cupboard. No longer a need to buy a pair of needles or a crochet hook for every new project. Now organised, I know what I own and it appears I have several multiples of the same sized needles and hooks. I used a piece of my liberty print fabric purchased during a memorable trip to London this past summer. I’m just nipping across to handmadeharbour to see what everyone’s been up to this weekend. Like the idea of the “bring a cake” party. 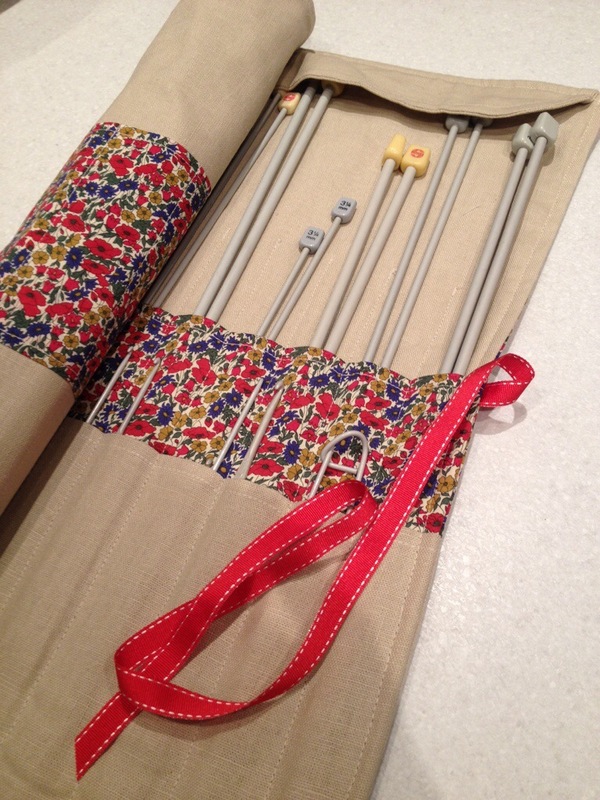 Your needle case is great… Especially that it has pockets for knitting and crochet needles… Keeping them altogether… Great idea. Thank you. I’m very pleased with it. It is a big tick off my list of things I’ve wanted to make for a long time. Loving that case. I have a serious case of jealous attacks now. Beautiful liberty print. Ive been meaning to make myself a roll for my hooks and needles-yours is lovely, especially with the 2 rows. Thank you. My needles were always in such a mess before and I was always losing one at the back of the cupboard or stabbing myself down my nail as I felt around in the dark. What a lovely spread of cakes, they all look delicious. Believe me, they were. And I didn’t even have to make ours; my daughter did it. I shall pass that onto my daughter. She was, quite rightly, very pleased with it. When I can’t think of a closure I always resort to a button and a piece of ribbon. Really quick and simple (lazy) but effective. Thank you for popping by. I could really eat a slice of cake right now! 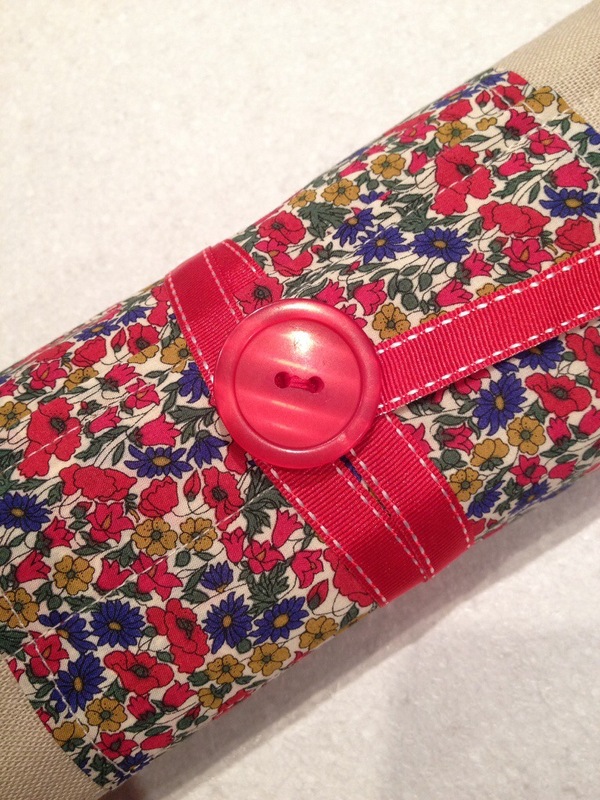 (even if it is 8.45 here) Your liberty fabric is lovely and looks great on your needle case. Cake any time of day here too! I know the feeling of finally have the knitting needles organised. You case looks fab, very stylish and a clean finish, well done! Thank you. It is very gratifying. I like making useful stuff. I love your needle case! And that Liberty print is so pretty. I keep all of my needles in a vase on my crafty chest of drawers but a think a roll would be much nicer. Another thing to add to the to-do list! Thank you! Sorry to add to your craft list! All the cakes look yummy. Is there any left? Last piece went last night, sorry! It would be a lovely way of looking after something precious. Very smart. I really must have a go at making one of those. I have two needle cases, but they both mean I have to tip all the needles out every time I want to find a pair. Not very handy. I no longer have any excuse not to put away that pile of hooks on the side table next to the sofa! 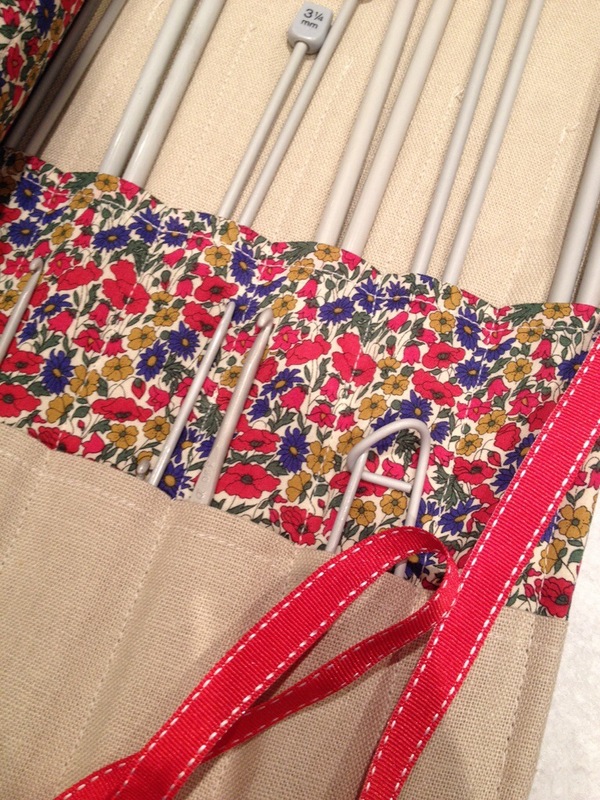 Inspired to invite friends for cake and make a case with my own treasured stash of Liberty! 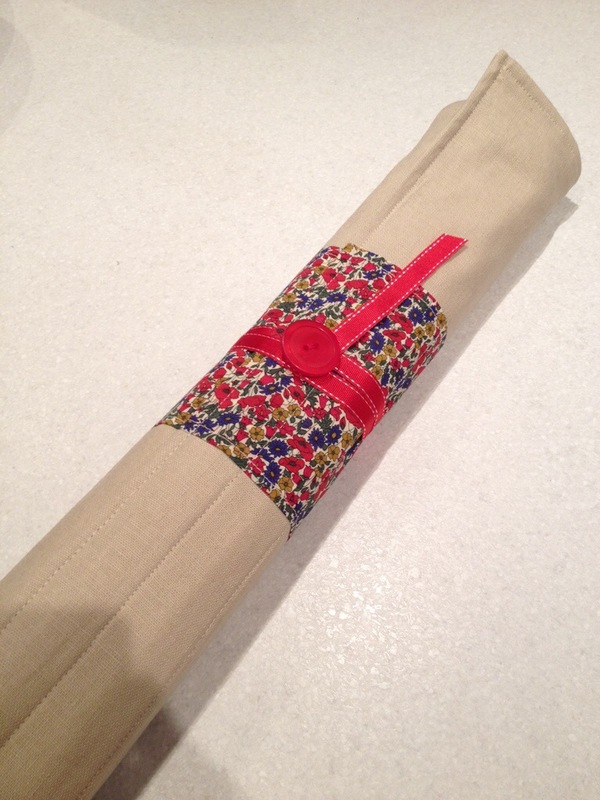 Beautiful needle case, and lovely lovely Liberty fabric! I was a bit concerned about getting all those lines of stitching straight but it came out alright. Thank you for popping by . Thank you. I love to cook, especially at Christmas, but seem to live in a house of would be food critics. OOOOOOh I LOVE IT! I agree with everyone…stylish, professional, smart, inspiring! Thank you very much. I love using it.